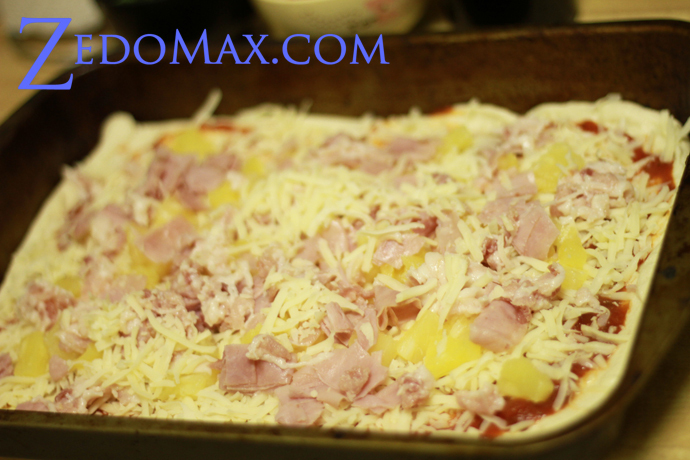 ← Best Pizza Recipe on the Internet! Earlier this year, my best friend (who’s a plumber in San Francisco) took me to my first Filipino restaurant. 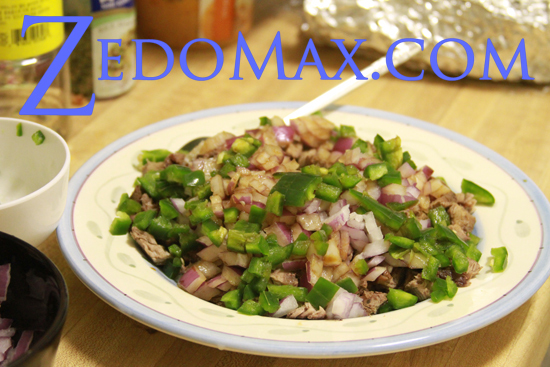 And of course, since I am Korean American and I love spicy beef, I fell in love with the Sisig dish, which is basically chopped up pork with sliced onions and jalapeno peppers. I just loved how this sisig dish tasted and started making my own sisig dish at home by following various different recipes I found online. Since I love beef over pork, I substituted beef for pork on my sisig and boy, I have been making this dish for the last 6 months like at least 3 times a week. Sisig tastes a bit sour and spicy. If you like salt and vinegars potato chips like myself, the chances are that you will want to try this dish. 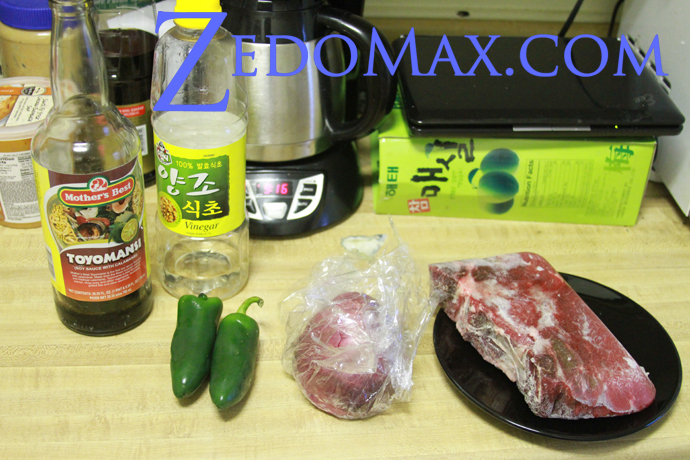 1 pound of sirloin or rib-eye beef – You can use any type of beef but I just find sirloin or rib-eye taste the best. half of a whole onion – You can use either regular or red onion, it doesn’t matter but I like the added sweetness that a red onion brings. Toyomansi – This is basically soy sauce with calamansi (like lemon) added. I bought this bottle of Toyomansi at my local Chinese grocers. You can also make your own sauce by adding soy sauce and calamansi (lemon juice) but I prefer to buy Toyomansi since it’s authentic and made in Philipines. Vinegar – Any vinegar will do. 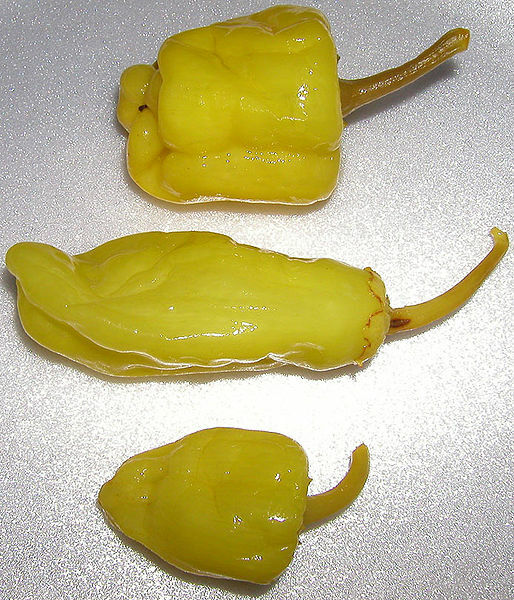 2 big jalapeno peppers – I usually use 2 big jalapano peppers but I eat very spicy so you might be okay with just 1 or even just half of a jalapeno pepper. Make sure to experiment to your liking. 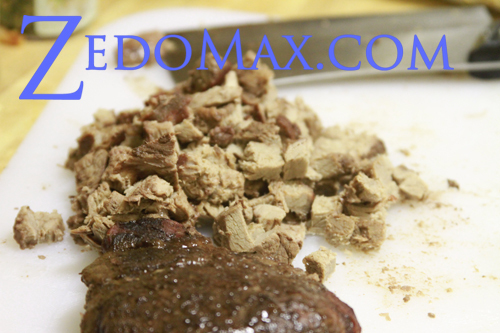 By the way, this is “my” recipe, over the time, I’ve made my own recipe to beef sisig, I am sure you can customize it to your liking. First, put your beef in the oven. 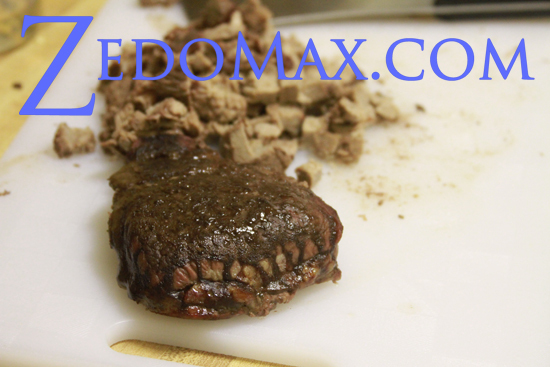 I usually put it on 350 degrees fahrenheit and cook it for an hour or at 400 degrees and cook it for 25 minutes. It doesn’t really matter but that you cook your beef well done. 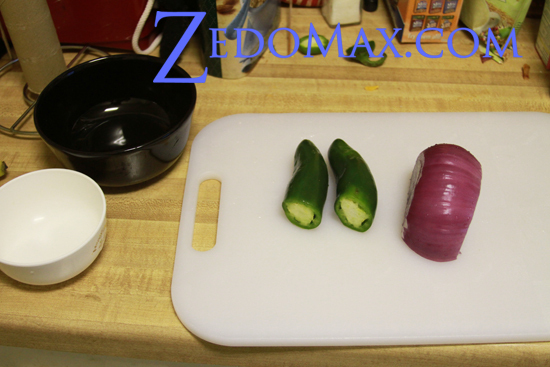 Second, chop up the onion and jalapeno peppers into small pieces. Third, Mix about 80% Toyomansi and 20% vinegar. You should get a nice “tangy” and spicy taste. If not, try experimenting with the mixture level until you get it just right. 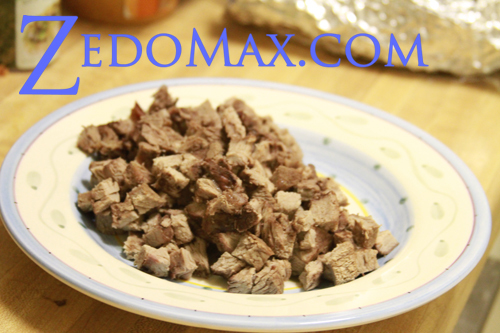 Fourth, when the beef is done, take it out of your oven and chop it all up. 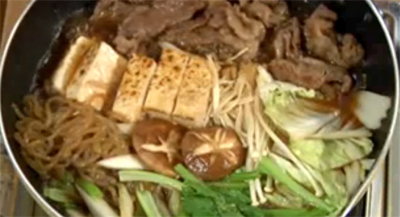 Fifth, put a nice layer of your chopped onions over the beef. 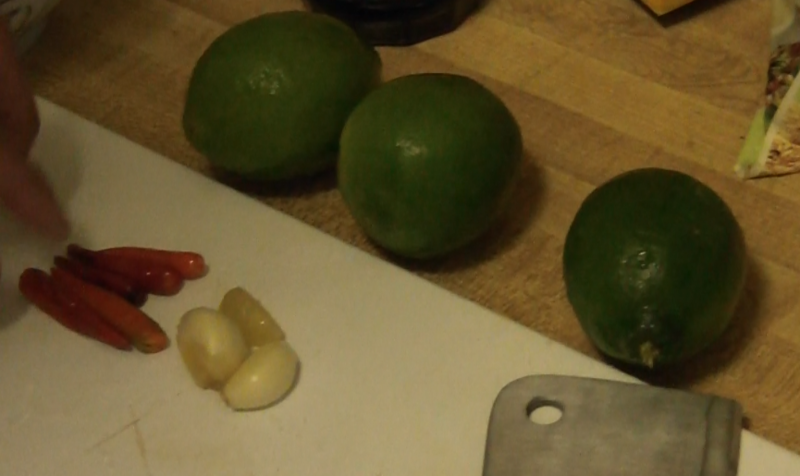 Then sprinkle your chopped jalapenos over it. 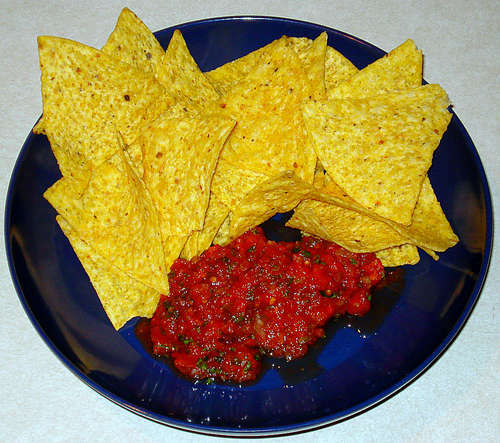 Next, you can use a spoon to spread the sauce over your dish. 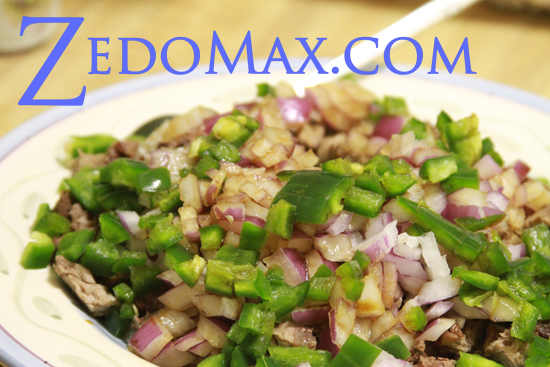 Make sure you don’t over do this part as if your sisig gets too soggy, you will taste too much sauce and not enough onion. One thing I like about sisig is that it’s really a “cold” dish, meaning it will still taste good the day after for breakfast. That’s what I usually do, eat it for dinner and the next day for breakfast. 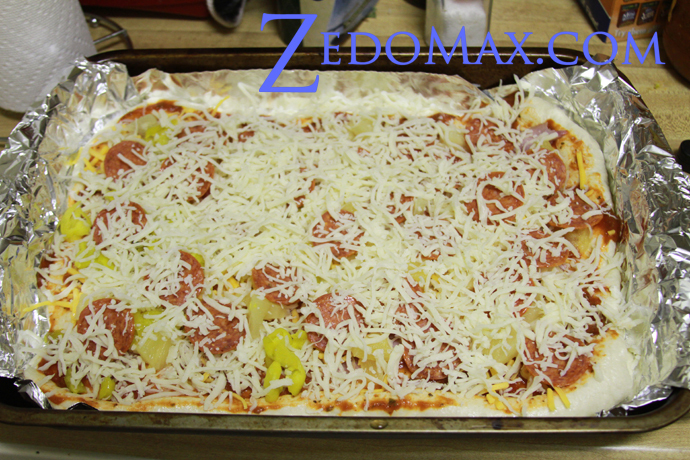 Hope you enjoy my recipe and don’t forget to share this recipe to all your friends! Check out more interesting categories: Cooking, DIY, Entertainment, Featured, Featured DIYs, Featured Entertainment, Featured Hacks, Food, Hack, HOWTO, Projects. Food Hack – How to Make Tabasco Sauce! 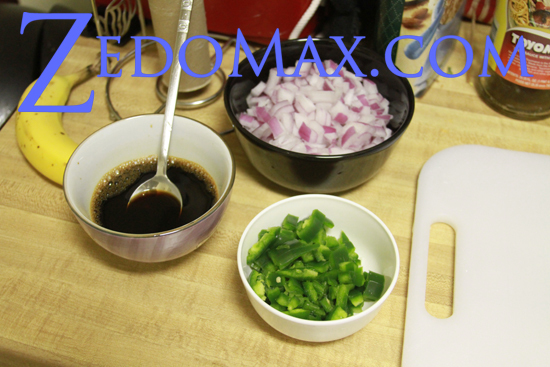 Food Hack – How to Make Pickled Pepperoncini!